Ubisoft has put out a new story trailer for Far Cry New Dawn. And, well, it reveals a very interesting twist. As it turns out, we will be entering a very unlikely, and potentially dangerous, alliance. Sometimes, you just have to turn to a seemingly lesser evil to combat a much bigger, immediate threat. It’s never a good compromise, but sometimes, you just can’t avoid it. The world of Far Cry New Dawn is a savage, unforgiving place, like any post-nuclear wasteland. Plus, you have to worry about a band of renegades, the Highwaymen, who are descending on Hope County. Their leaders are the brutal and bloodthirsty twins, Mickey and Lou. So, desperate times call for desperate measures. In times of troubles, some unexpected alliances sometimes arise. That’s exactly what happens in the new story trailer for Far Cry New Dawn. Keep in mind: there be spoilers from here on out. If you want to go in blind, this is your stop. You’ve been warned. 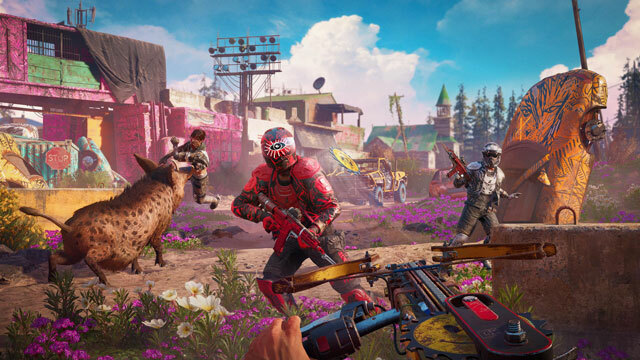 Far Cry New Dawn is coming out on Friday, February 15th. You’ll be able to purchase it for PC, PlayStation 4, and Xbox One. If you just can’t wait for it, you can check out the story trailer below. At this point, you’re well into spoiler territory, so might as well see what it’s all about.